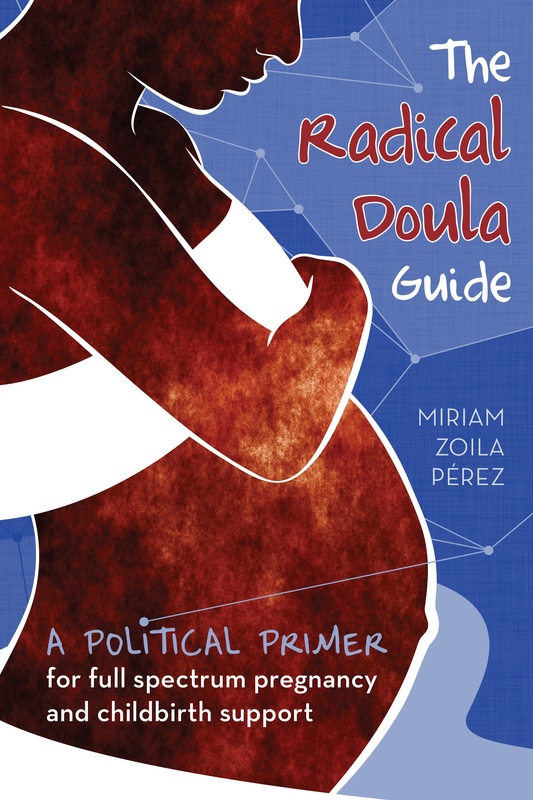 What’s the goal of the doula movement? In my latest column for RH Reality Check I muse about the question of the goal of the doula movement. I felt a bit nervous putting this one out there because it touches on issues of money, sustainability, access to our services for those who need it most, and how institutional affiliation impacts the ability to make change. When I talk about these issues I’m very conscious of the fact that I don’t make a living as a doula. While a few of the things I do that relate to doula work–publishing the Radical Doula Guide, writing my column for RH Reality Check, the occasional speaking gig–brings in some modest income (we’re talking under a few thousand dollars per year), the bulk of my pay-the-rent money comes from non-doula related work (primarily my work with non-profit orgs as communications consultant). So, I know that all of my commentary on these issues comes from the position of someone outside the doula work is my living community. And I want to make clear that I find nothing wrong with doula work as a profession, it’s just not the path I’ve chosen for myself or my work, for many mostly personal and logistical reasons. There is no easy answer to the question of where the doula movement is headed. It’s clear to me that doulas provide an important and potentially transformative intervention for our maternal health system. But it’s also clear to me that institutionalization and professionalization threaten the very model we’ve developed, a model that, because it is outside the medical system, allows us to shift the dynamic and improve outcomes. An alternative that I think may be more feasible is working to bring the doula model of care to existing participants in the health-care system. How could the doula model transform the way current providers, like doctors and nurses, care for their patients? Rather than creating a vast doula profession, could we transform maternity care by turning everyone into doulas? Could family members, for example, be trained or shown how to provide the kind of support that doulas provide? I think doula work is valuable and important, and I also don’t believe the essence of doula work—non-judgmental and unconditional support for pregnant and parenting people—needs to be locked away in a system that says only a certain amount of training, certificates, or other paperwork bestows upon someone the right to provide this support. We run the risk of replicating the model we’re trying to revolutionize. And I don’t think that is where real social change happens. Read the full thing for my whole analysis, including one example of a midwife bringing doula-like training to existing members of the broader health care network. I would love to hear from you, fellow doulas, what do you think is the goal of our movement? How do you think we’ll get there? Thank you for this great article! I see the doula movement as a space that can truly change the way doctors and nurses care for pregnant and expectant persons. If we are flexible, like you contend, then it allows for others to embrace the beauty in doula work and to develop a greater appreciation for how one provides care to patients. Have you ever thought about offering doula trainings to medical providers? Oh my goodness! I love these thoughts and often wonder how to continue in a way that satisfies both my family’s needs to survive (financially) as well as provide for those who need my care most (generally speaking, low-income and minority women). I wish I knew the answers!